As the current trend of working remotely continues to rise, more and more individuals and businesses are jumping on the bandwagon. It is not difficult to understand the appeal of working from home, or really wherever you choose. Remote jobs eliminate the stress and time wasted that comes with a long commute. All of that time saved can be put to better use, such as spending it with friends, loved ones, or on other interests. Remote workers also save money otherwise spent on gas, eating out for lunch or grabbing a coffee on the way to the office. Not only does it save money for the individual, but companies that allow their employees to work remote end up saving a ton of money, too. Saving money is a nice bonus, but the biggest benefit of telecommuting is increased productivity. When we can choose our ideal work environment, we tend to produce better work. Also, it has been found that not everyone works well during standard operating hours. Some crank out their best stuff at night after the rest of the onsite working world is asleep. Others work best during the wee hours of the morning before the sun comes up. According to a study, almost 70% of millennials said that being able to work remotely would affect their level of interest in a company. In the group of telecommuters that were questioned, 80% said that they experienced a high level of morale within their company. Over 80% of people said that they experienced less stress, and just under 70% of people reported less absenteeism. These percentages are encouraging from both the employer and employee perspectives. Evaluate Your Skills - Think about how your skill set could be applied to some common remote positions. At the very least, you will need to be familiar with the basics of digital communication, such as email, video calls, spreadsheets, etc. The company you end up working for may also utilize a program that allows your team to be looped in on the status of relevant projects, such as Slack. Don’t worry if you have never used this type of software before; you will most likely be able to get the gist fairly quickly. At the end of the day, you want to make sure that you are setting yourself up for success. Look at what you are good at and use that as a starting point to find the best remote job for you. Software Developer - Software developers are the highest paid remote workers by far, bringing home an average salary of $115,000. This is also a position with a lot of demand. In this role, you will most likely be troubleshooting issues and working to resolve them. You may have a hand in developing products or performing updates to the company’s system. Some organizations may require you to have a bachelor’s degree, as well. Customer Success Engineer - A remote customer success engineer makes an average salary of $100,000 per year, plus benefits. This role requires excellent communication skills since you will be working with clients on a day-to-day basis. You will also need to have a clear understanding of the engineering and technical aspects of the products. Development Operations Manager - Also referred to as DevOps Manager, this roles brings in an average salary of $91,000. This position, though remote, will work closely with the team to build applications and manage them. In order to snag this job, you will need to provide proof of skill and industry experience. District Sales Manager - The average salary of a remote district sales manager is $90,000 per year. This role likely requires years of experience working to develop sales representatives in an effort to bring in new business. You will be expected to expand the customer base and hit quotas set for you. Bonuses may be used as incentives to meet or exceed your goals. Business Analyst - Remote business analysts make around $83,000 per year. In this role, you would plan, execute, and analyze the company’s initiatives. It will be important to exhibit technical expertise in evaluation and development as it relates to systems and procedures. User Experience Researcher - A user experience researcher can average $83,000 per year in salary. As a researcher, you will need to gather data on the needs of the company’s consumers and provide results and actionable items to the product development and marketing teams. Experience in UX will be required. IT Manager - You could make an average of $80,000 per year as a remote IT manager. In order to be eligible for this position, you will need to provide evidence of tangible work experience. You might need to exhibit knowledge of specific programs or software. Attorney - With an average salary of $80,000, you could work remotely as an attorney. This role would most likely include advising clients on legal matters, managing cases, reviewing depositions, and other such activities. Forensic Computer Analyst - On the market with an average salary of $70,000 is the role of a forensic computer analyst. In this position, you will most likely be supporting team members on the senior level by conducting forensic data collection and performing analyses. Common requirements for this job include certifications in IT security and/or forensics security. Marketing Manager - With an average salary of $63,000, the job of a marketing manager might be the right remote position for you. If you are interested in this role, you will most likely need to have experience in B2B, content marketing and digital marketing. Day-to-day tasks might involve developing and managing a company’s marketing plan, designing and executing digital advertising campaigns, email marketing, analyzing campaign results, and managing other remote workers on your team. 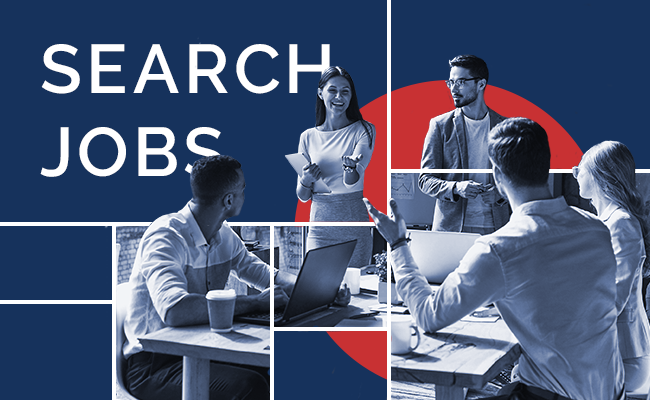 If the highest paying remote jobs do not match your skill set, perhaps some of the most popular jobs of 2019 will be a match. Virtual Assistance – Virtual assistants make a little over $20,000 in the U.S. The job has the potential to be very demanding, so make sure this is the right fit for your lifestyle. Data Entry – In the U.S. data entry positions yield approximately $30,000 per year. These jobs often pay per word, so be aware of that. Customer Support – Remote customer support positions pay around $37,000. Bilingual customer support representatives tend to make more money. Graphic Design – Graphic designers average a salary of $50,000 per year, though this is dependant on the scope of projects and number clients. Content Writing – Remote content writers make an average of $54,000 per year. This can vary greatly based on skill level and experience. Consulting – Being a consultant can pay pretty well depending on what your level experience and the type of consulting that you do. The average salary in the U.S. is around $88,000 per year. Development Operations (DevOps) – DevOps positions pay very well. The average salary in the U.S. is $91,000 per year. Software Development – With the right skills, software developers make $115,000 per year. Not too bad for the flexibility and freedom to work anywhere. Whether you're exploring the idea of working from home or you are serious about remote work, contact ICS. We have tons of open jobs to satisfy your needs. Click below to get started on your best job search yet!